Remember how we were talking about marking cools and I promised that I’d show you more of my favorites? The Chaco Liner is a relatively new addition to my toolbox, but I’ve been making up for lost time with it recently. 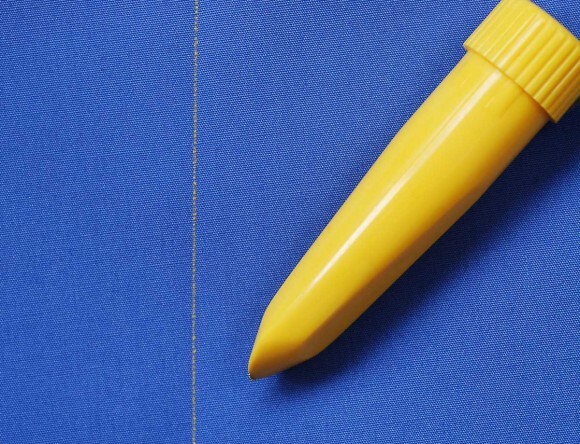 It comes in both blue and yellow. It lays a fine, crisp line of chalk dust onto your fabric via a little wheel that makes a very satisfying clicking sound as it works its way industriously across the fabric. I love it for marking grid lines, like when S and I stenciled polka dots on her chambray skirt and when I mark pleats on fabric for hand smocking. The chalk dust comes off very easily, so keep that in mind when you’re selecting the right tool for the job. I wouldn’t use this to mark buttonhole placements for a dress and still expect to be able to see them after I’ve sewn the entire dress, for example. The dust will rub off with movement. 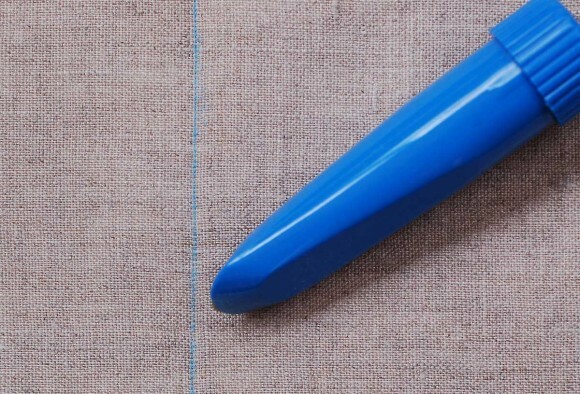 Instead, you might use it to mark a dart just before you stitch it. Or to mark those buttonholes at the very last minute, when you’re ready to sew them. And it’s great for drawing a topstitching line, like on the Roller Skate Dress. I use the blue Chaco on light-colored fabrics, where it’s more visible. And I use the yellow on darker colors. They both show up well, and you can even refill them when the dust runs out. Here’s another idea you might try: for my black linen smocked tunic, I really wanted to use the crisp, precised lines of the Chaco liner to mark the lines for my pleats but didn’t want them to disappear too early. So I “set” the Chaco lines with a light hairspray mist, just to hold the dust in place while I was working on it. I’m not sure about ironing the fabric when it’s got hairspray on it (I’d strongly suggest testing it to be sure the fabric doesn’t scorch), but it worked beautifully for my purposes. 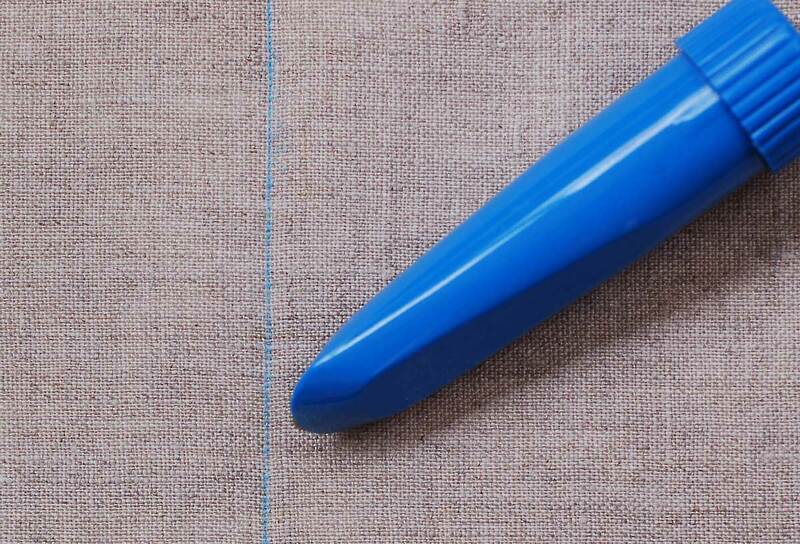 The chalk lines are so thin and perfect, I love this tool, and it shows up really well on a variety of fabrics, too. I’ve used it on heavy wool as well as lightweight lawns and have been really happy with the results. Oh, I have never heard of this but it looks exactly like what I have been looking for. I fell in love with the Clover version of these about two years ago, and can’t get enough of them. I especially like them for thicker-pile fabrics, like a nappy wool–those little teeth bite right in and you still get a nice, crisp line even on bulkier fabrics that can be hard to mark. 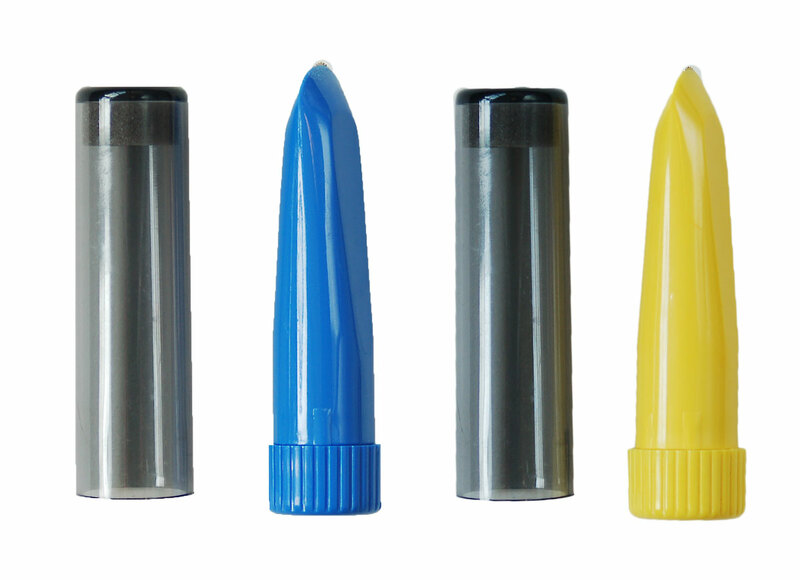 Love the hairspray tip–haven’t tried that before! Deborah, I agree! These are the Clover brand too, and they’re really great for fabrics that other markers don’t work with.